Missing teeth problems often need to be addressed as quickly as possible, because they may cause more problems and complications in the long run for the patient, if left untreated. A person may experience bone deterioration in the area where the missing teeth used to be located; the facial structure will also be adversely affected if a solution is not done for this problem. Life Dental Implants in London will provide you the information you need about immediate placement of dental implants, which provides quick solutions to issues that come with missing teeth – so that a person can enjoy the benefits of the implants (and the tooth restoration) in a shorter period of time. The immediate placement of dental implants provides the benefit of lessening the number of surgeries or procedures that a person has to go through; this will in turn result to a shorter period of healing, and less discomfort for the patient. A person will not have to go toothless while waiting for the healing period to be finished, as temporary tooth restorations will be put in place – this is especially important when the missing teeth are located in the front of the mouth, where toothless gaps or spaces can be very obvious, and can greatly affect how a person’s smile looks like. 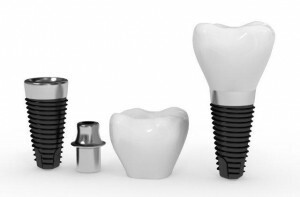 Life Dental Implants London gives you the information you need about the immediate placement of dental implants, so you will know what the best option will be for your dental implant needs. Once the requirements are met for the immediate dental implants placement, you can look forward to a shorter period of time before you can fully enjoy the benefits of your dental implants.